Make cookie dough according to package instructions. 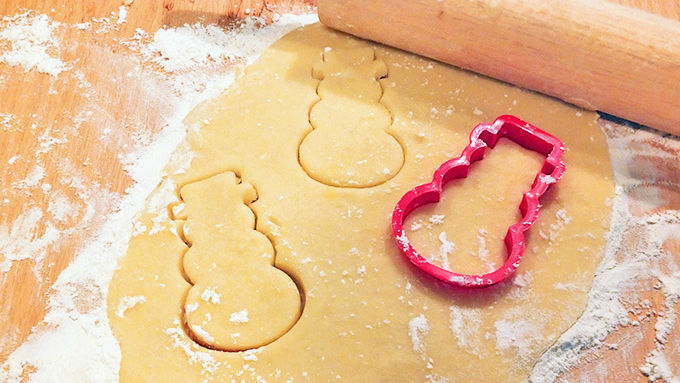 Roll out dough and cut out cookies using a snowman cookie cutter. 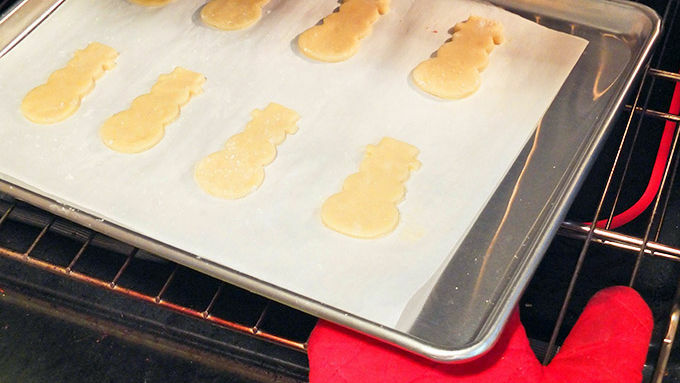 Place on cookie sheet lined with parchment paper and bake at 375°F for 7-9 minutes. Let cookies cool completely. 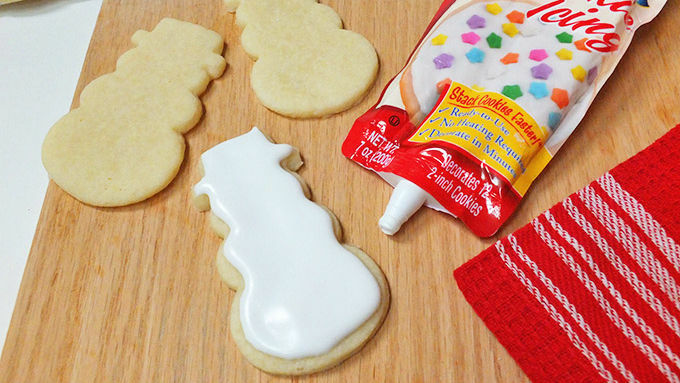 Using the white cookie icing pouch, pipe the icing on the top of the cookies. Place candy eyes and red-hot candies on the cookie while icing is still wet. Sprinkle black sugar sprinkles on the hat if desired. Let icing dry completely, approximately 4 hours. Draw on eyes, zombie stitches and mouths with the edible markers. Cut Fruit Roll Ups into strips and press onto the cookie. Draw red veins on candy eyes using the red edible marker. Use small biscuit cutter to make “bites” out of the zombie cookies or break off a corner of the cookie for that zombie look. 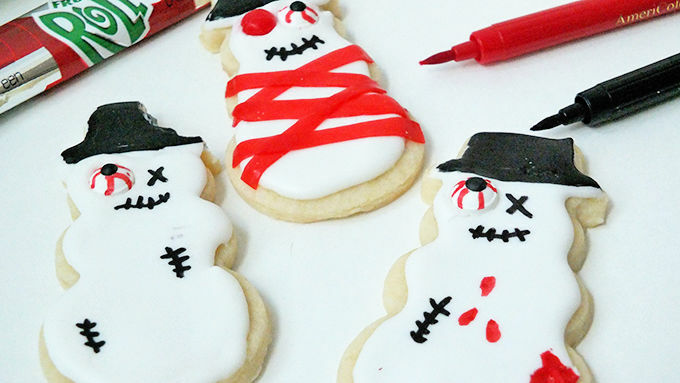 Surprise Santa this year with a plate of zombie snowman sugar cookies! I have seen so many cute snowman cookies for the holidays this year on Pinterest... SO many. I love inviting a bunch of my friends and family over to bake and decorate holiday cookies with me! 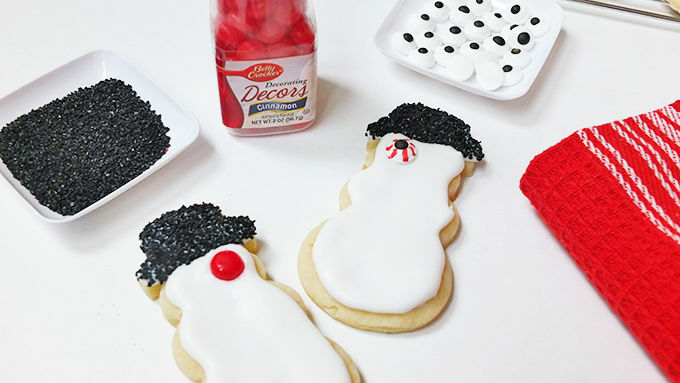 But it seems that we make and decorate the same type of cute snowman cookies year after year – and they've become more interested in eating cookies than decorating them! So this year I decided to mix it up and zombify ours. Being fans of the popular zombie movies and TV shows, this idea was just the ticket to getting everyone excited about decorating cookies! 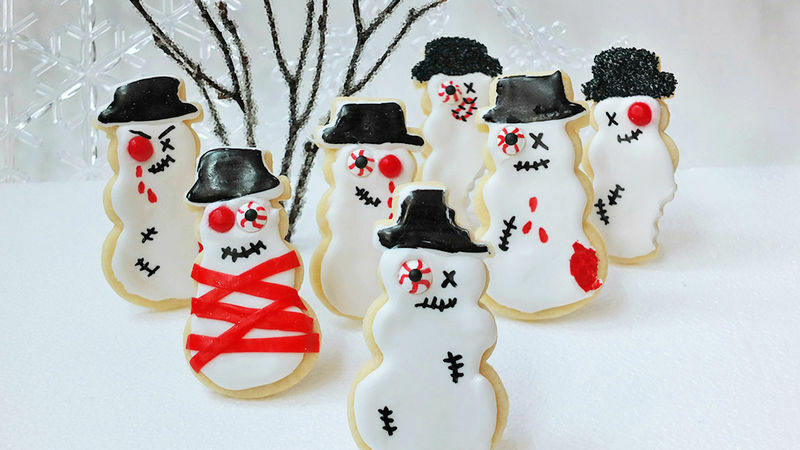 These zombie snowman cookies are the perfect “frost bites” – they'll have your friends and family talking about your spin on these traditional treats!